According to them the story is great, the dialogs too due to the voice-over and the cinematic experience. Although they found the quests dull, because they had to kill only one creature through all Tython quests over and over again – the Flesh Raiders. Additionally they found the AI for the flesh raiders to be very dumb – hence they whole experience was without challenge, because it was easy kill. They could not group together, because they had class specific quests, or rather the Jedi Knight could not enter the flashpoint for the Jedi Consular. Further they find nothing innovative in the way how the mobs are dispersed in small groups and when you kill them new ones respawn for the next player. Typical for any MMO. This was recently revealed on the official site and GameStar had nothing new to reveal there. But they found the idea for Crew Skill cool. So, they like this aspect of the game. This was the big shocker for me. According to Petra Schmitz SWTOR is going the path of Warhammer Online and their battlegrounds. But the statement that “an open PvP system where Jedi and Sith, Smuggler and Agent, permanently and everywhere could punch the nose of their rivals is not planned yet.” Under a small picture from the Alderaan warzone I read small text “The PvP in the Old Republic is only in instanced warzones.” From other developer interviews before I personally understood that SWTOR will have Open-World PvP. But now I’m very disappointed. I still hope that this is some kind of misunderstanding. May be they draw such conclusions because they didn’t have open-world PvP fights during their hands on time. I hope that is the case. 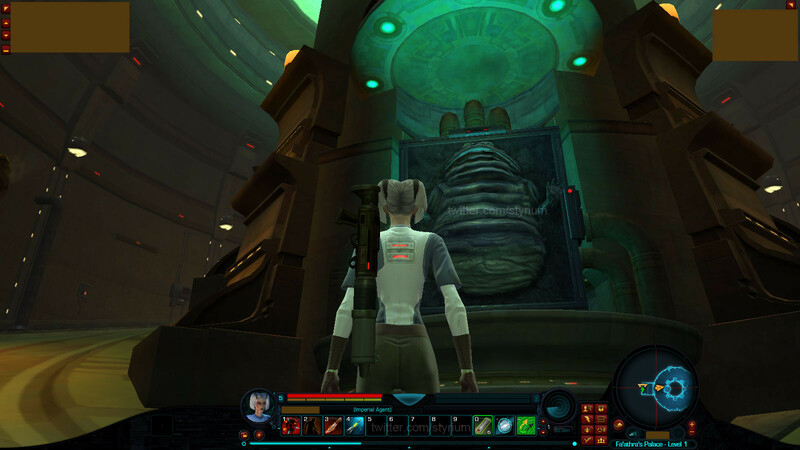 Because if SWTOR doesn’t have Open-World PvP from day one – it will be one of the major disappointments for many fans. There are some inaccuracies in the initial reporting here, which could have happened for any number of reasons – but in the interest of calming speculation, there are a couple of things we wanted to address. First, regarding PvP, so far we’ve been focusing on the instanced Warzones in our initial reveals, but that is not the only form of player vs player gameplay in The Old Republic. We’ll have more to announce in time. Second, regarding the Flesh Raiders, and mobs in general. In the build shown at the press event, we told the assembled press that one particular Flesh Raider model was being repeated in that build, but that the final game would have a variety of Flesh Raider models. In fact, you got a sneak peek at concept art for those models in last week’s Studio Insider. In addition, there are a number of different creatures, droids and enemies of various types on Tython (and on every world you’ll be adventuring on). They’re all over the world. Third and finally, remember that this was a preview event focused on early gameplay. As Game Testing progresses, and as we conduct more press events, the continuing development of the game is going to be highlighted; changes are inevitable. You can read the post, as well as join the thread discussion, here. I really hope the skepticism of those journalists is exaggerated, or at least BioWare fixes those issues before release. It’s also great to see more activity from BioWare on the forums again! BioWare – keep it comin’!